Transparency disclosure: for each person who buys 1MD Complete Probiotics Complete by clicking a link on this page, Probiotics.org receives a small percentage of the sale. I would strongly recommend this product without compensation, but I want you to know all the potential motivations for Probiotics.org writing this review. Transparency rules! 1MD Probiotic Complete Platinum is a high end digestive probiotic created by Dr. David Kahana, a Gastroenterologist focused on gut health. Dr. Kahana partnered with 1MD to create the perfect gut health probiotic + prebiotic. 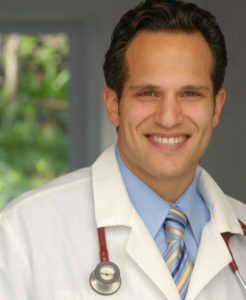 Why did Dr. David Kahana create Probiotic Complete Platinum? Dr. David Kahana was excited about the latest research on probiotics and gut health. He knew probiotics could give his patients their life back by radically improving their digestive health. But when Dr. Kahana looked at the commercially available probiotic products, he saw weak products that he couldn’t recommend to his patients. And as a specialist in digestive health (Dr. Kahana is a gastroenterologist), he wanted the latest and strongest probiotics available to help his patients. To create his ideal digestive health probiotic, he decided to partner with 1MD. He knew they had the track record of creating high quality supplements, and they would likely be able to accomodate rare and unique manufacturing requests to maximize the effectiveness of the probiotic blend Dr. Kahana would create. After partnering with 1MD, Dr. Kahana dedicated his life to finding the most effective way to craft a probiotic that would be guaranteed to deliver the probiotics to the large intestines, where they have the greatest benefit to digestion. 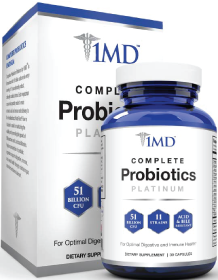 The result of the partnership between M1D and Dr. Kahana is IMD Complete Probiotics Platinum. 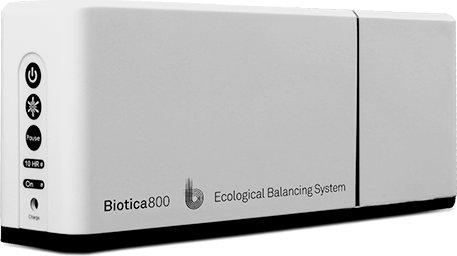 In the next section, I’ll go over the details of the clinically proven probiotic strains in this product, as well as the prebiotics and inactive product ingredients. 1MD offers complete transparency and tells you the exact CFU count of each probiotic strain. Few companies do that because it’s easier for competitors to steal 1MD’s formula for Complete Probiotics Platinum. But because IMD values transparency over worries about copycats, they list their full ingredients and the exact CFU count as well. L acidophilus is my single favorite probiotic strain ever. It is so damn well researched and if I ever had to choose just 1 probiotic to take, I would take this probiotic for it’s digestive, immunity benefits, allergy reduction benefits. Not to mention the cholesterol and blood pressure benefits of this strain. B. longum is effective against IBS, preventing colds and fighting candida. B bifidum is noted for increasing immunity function, treating acute diarrhea, reducing ulcers, fighting Candida. L casei is an extremely well researched probiotic that has many benefits ranging from decreasing allergy response to pollen, supporting liver health, fighting diarrhea and many more benefits. L plantarum is known for reducing IBS symptoms, and reducing flatulence. Lactobacillus gasseri is considered the weight loss probiotic strain. It’s been recently discovered to decrease the accumulation of belly fat and it lowers cholesterol. L salivarius is best known for helping decrease ulcerative colitis and IBS symptoms – as well as fighting Candida. L rhamnosus has strong immunity supporting benefits, and some digestive benefits as well. L bulgaricus helps with IBS and leaky gut. Bacillus coagulans reduces IBS abdominal pain and also reducing IBS related bloating symptoms. The prebiotic blend 1MD probiotic uses is NutraFlora Prebiotic Fiber. They use 100 mg of the short-chain fructooligosaccharide (scFOS®). This prebiotic is well known to keep your prebiotics well fed. There are 2 non-probiotic or prebiotic ingredients in this product. The first is rice flour. This is often used as a natural anti-caking agent so the machines deliver consistent amounts of probiotics into each capsule. It probably also functions as a way to fill up the capsules, again for product consistency purposes. The only possible issue with this ingredient is an allergy to rice. Otherwise it’s pretty darn harmless. The 2nd ingredient is the vegetable cellulose capsule. This is an extra thick vegetable cellulose capsule that takes longer to digest with stomach acid (HCL) and bile. Since the capsule is the correct thickness, it won’t release the capsule’s probiotics until later in the small intestine, or inside the colon/large intestine. That means that the probiotics arrive alive where they will do the most good – in your large intestines. 1MD’s Complete Probiotics uses time release acid and bile resistant capsules. This ensures that probiotics are more likely to arrive alive where they do the most good – which is the large intestines (aka. the colon). What allergens does this product have? I’ve spoken with the manufacturer, and there are basically no allergens present in 1MD Complete Probiotics Platinum. The only potential exception would be an allergy to rice (this probiotic contains rice flower). Celiac’s should have no problem with this product since it’s 100% gluten free. This product is 100% soy free. There are no traces of shellfish in this product. So rejoice those of you who have crustacean or mollusk allergies. There are no eggs in this product, or even traces of eggs. This product does not contain genetically modified ingredients. None of the probiotic strains are genetically modified either. This product is shelf stable and does not need refrigeration. I’d estimate that the shelf life of this product will easily be over 1.5 years by the time your receive it…and probably closer to 1.8 years. The product will last for 24 months of the time of manufacture. The company makes a new batch of probiotics every 30 to 35 days. So, it’s a good bet that you’ll receive your probiotic within 2 months. So that means that your probiotic should meat the claimed CFU probiotics for 22 months (assuming the product is stored correctly). What is the correct way to take this product? Before breakfast, on an empty stomach. Most people do best by taking it before breakfast. But some people will feel better by taking the product just after breakfast. I recommend experimenting both ways and seeing which gives you the best results. Where is the best place to buy Complete Probiotics Platinum? The safest place to buy 1MD Complete Probiotics Platinum is direct from the company’s website. Buying direct from the manufacturer guarantees that you get 100% genuine, unopened product, 100% of the time. Also keep in mind that you get deep discounts by buying multiple boxes at once. The company offers a 90 days – no questions asked – return policy. To me that means that this company really believes in this product when they back it with a very strong guarantee like this one. Most companies only offer a 30 day money back guarantee – so a 90 day guarantee shows how much confidence they have in IMD’s Complete Probiotics Platinum. Are there any scams with 1MD Complete Probiotics Platinum? I searched around, and I couldn’t find any 1MD Probiotic scams. But, the internet is a dangerous place, and something could pop up in the future. The best way to be 100% sure you’re avoiding a scam, is to buy direct from the manufacturer. But this company has good control over their supply chain, so the likelihood of scams with this company are very low. Dr. David Kahana created this product with clinically studied probiotic strains that are finely tuned for digestive health. It also has a prebiotic to ensure proliferation of the probiotics in your intestinal tract. I highly recommend this product digestive health. And even if it doesn’t work out for a small number of people, there’s a 90 day return policy with no questions asked. And that’s why I rated 1MD probiotics 5 out of 5 stars. 1MD’s probiotics may be useful…since the typical treatment for H Pylori is antibiotics, then probiotics can help replenish the killed probiotic bacteria, or they can help correct dysbiosis…assuming antibiotics were part of your previous treatment regimen. I don’t believe probiotics are the most effective solution for treating H Pylori directly. I would contact Emma Lane out of the UK for some effective treatment options.